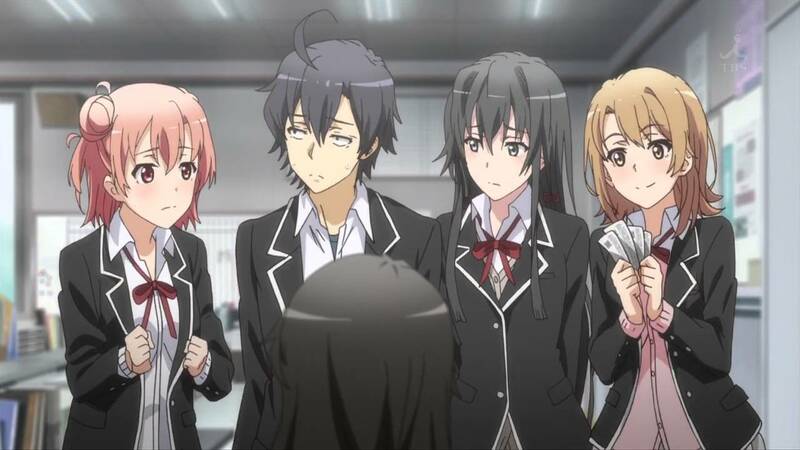 Sentai Filmworks, the American anime licensing company has officially announced the TV anime Oregairu dub after almost 5 years of broadcast. Yahari Ore no Seishun Love Comedy wa Machigatteiru. 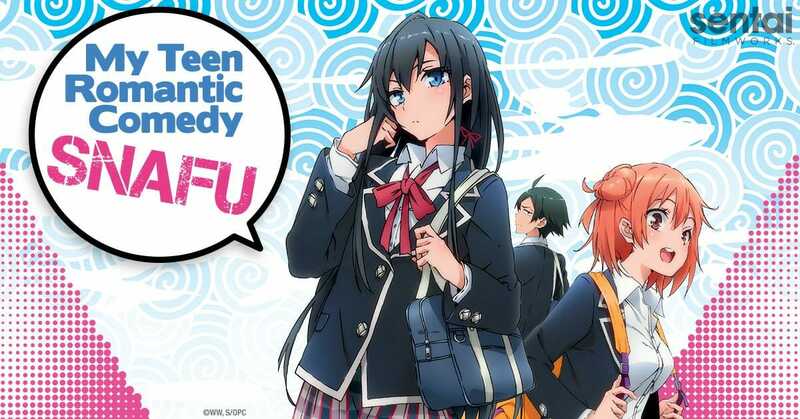 also known as My Teen Romantic Comedy SNAFU or Oregairu for short. It is an anime adaptation of a light novel series of the same name by Wataru Watari. The show is very popular due to the main character and his interaction with his fellow classmates and school club, especially in the West. Just recently the third season for the show was announced and now fans will be getting the dub for the first season announced by Sentai Filmworks. Hachiman Hikigaya, a student in Soubu High School, is a cynical loner due to his traumatic past experiences in his social life. This eventually led to him developing a set of “dead fish eyes” and a twisted personality similar to that of a petty criminal. Believing that the concept of youth is a lie made up by youngsters who face their failures in denial, he turns in an essay that criticizes this exact mentality of youths. Irritated by the submission, his homeroom teacher, Shizuka Hiratsuka forces him to join the Volunteer Service Club—a club that assists students to solve their problems in life, hoping that helping other people would change his personality. However, Yukino Yukinoshita, the most beautiful girl in school, is surprisingly the sole member of the club and a loner, albeit colder and smarter than Hikigaya. Their club soon expands when Yui Yuigahama joins them after being helped with her plight, and they begin to accept more requests. With his status quo as a recluse, Hikigaya attempts to solve problems in his own way, but his methods may prove to be a double-edged sword. Mortal Kombat 11 trophies revealed with minor spoilers and game features. Code Vein for Nintendo Switch might be happening. Weathering with You anime movie screenshots revealed. And in case you’re wondering it is not an April Fool’s joke it is real. Season 1 was aired from April 5, 2013, to June 28, 2013, and the second season Yahari Ore no Seishun Love Comedy wa Machigatteiru. Zoku aired from April 3, 2015, to June 26, 2015. So, are you a dub person or do you prefer sub? Let us know down in the comments. Tags: AnimeAnime DubLight NovelMy Teen Romantic Comedy SNAFUOregairuOregairu DubSentai FilmworksYahari Ore no Seishun Love Comedy wa Machigatteiru.